By Casey M. Clements M.D., Ph.D. (@CaseyClmnts) and Donald F. Zimmer M.D. Photo: Luz Sosa, PAHO/WHO – used according to the creative commons license. 2.This usually self-limited infection causes debilitating pain and often has a prolonged course and patients may seek emergency care. A previously healthy 33 year old American physician working in Haiti developed right ankle pain. He noticed this about 2 am, and thought he may have missed minor trauma saying it felt “sprained”. By morning he also had developed knee pain (left > right), and bilateral wrist pain along with fever and rigors. The ankle pain was severe and he required a cane to walk despite being able to run marathons within the last several months prior to his illness. The fever resolved after a few days, but the joint pains persisted for several days. In this case the illness resolved without sequelae after about 2 weeks. * The above case is the personal account and story given by Dr. Donald Zimmer, an emergency physician and friend, of his infection with Chikungunya earlier this year. While our eyes are all on West Africa and Ebola, there is another epidemic of 2014, closer to home and affecting many more people. 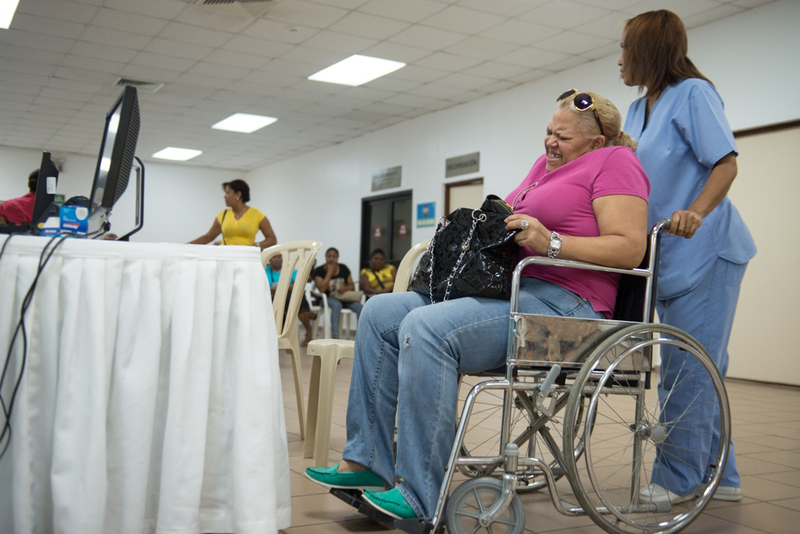 An epidemic of Chikungunya infection is rampant in the Carribean having begun in December 2013. Nations in the Caribbean this year have reported over a half of a million cases of suspected Chikungunya infection so far during 2014 according to the Pan America Health Organization (PAHO) (1). Surprisingly, these numbers may be underestimating the prevalence in some places. On the ground observations in Haiti during routine medical screening in children, report a recent history of symptoms consistent with Chikungunya in the overwhelming majority of patients (unpublished data). Chikungunya has spread to countries surrounding the Carribean, including the US. The CDC confirmed last month, the first case spread person-to-person in Florida in the absence of travel to endemic areas. Chikungunya is an alphavirus of the togaviridae family, closely related to the more rare (but better known) Ross River Virus. The virus is able to infect many cell types in the body including epithelial, endothelial, stromal, and blood cells. Chikungunya was first identified in Tanzania (east Africa) in 1953. 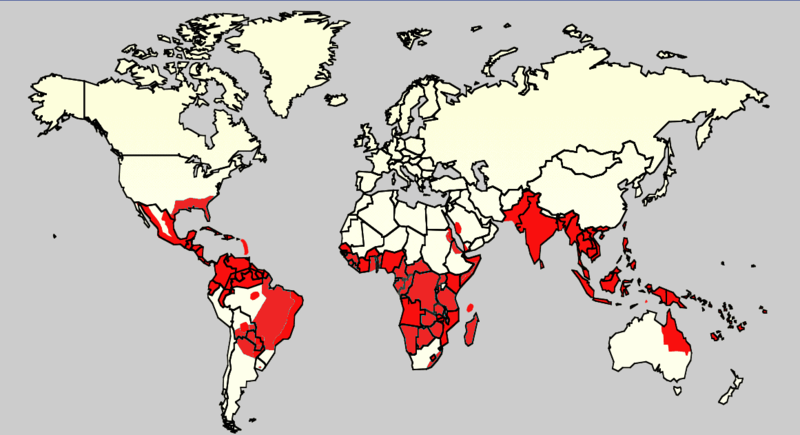 It remained a largely African disease until about 2006 when it spread to many parts of Asia and Europe. In 2007 there was a Chikungunya outbreak in Italy where many people were infected before the disease was brought under control. The virus spread to the Americas only last year and has since infected over 500,000 people. Chikungunya is a mosquito born illness and is spread by species of mosquito in the Aedes genus which are active during the day, and whose activity is therefore not always prevented by many traditional measures (such as mosquito nets). Humans are the most substantial source of infection and most infections are thought to be human-to-human with the mosquito vector, though non-human primates can also be infected. 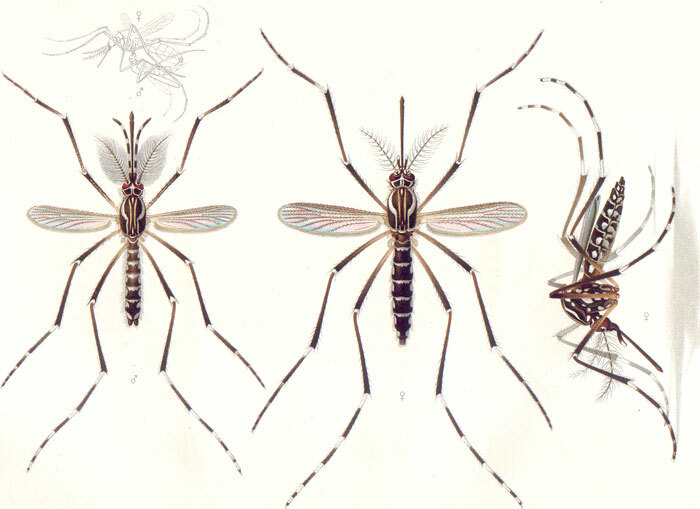 Traditionally, the virus was spread by Aedes Aegypti, the same species of mosquito that spreads Dengue and Yellow Fever. This likely limited spread of infection to where that species was present (mainly tropical). However, the virus can also be spread by a related species within the genus, Aedes Albopictus that can survive at more temperate climes and lives across much of the US. This change is thought to be due to mutation in two important glycoproteins on the virus. E. A. Goeldi (1905) – Public domain image, used according to fair use. 10-15% of infected persons remain asymptomatic. Otherwise, Chikungunya presents with acute and subacute phases of infection. A couple of days after infection, patients develop an acute febrile illness characterized by polyarthralgias (often asymmetric), polymyalgia, rash (either maculopapular or petechial), headache, and often photophobia. Occasionally, conjunctivitis and rarely other inflammatory conditions of the eyes occur. By all accounts, at this point in the infection everyone feels pretty horrible. It is during this acute illness that patients are the most infectious with the highest viral load. Generally patients will defervesce after 2 to 3 days. The subacute phase follows and is characterized by persistent, and often debilitating arthralgias. Patient outcomes and duration of illness are determined largely by age. In young healthy individuals, the symptoms improve over the course of 1 to 2 weeks. At middle age, arthralgias can be expected to continue for 4-10 weeks. In the elderly severe joint pain can persist several months and patients should be counseled that can last for up to 2 years. In retrospective cohort studies, about 50% of patients report joint pain that has not resolved several months after infection (3, 4). Interestingly, this is likely due to persistent infection causing inflammation and not reactive or autoimmune arthritis since virus can still be isolated from patient samples and markers of rheumatoid illness generally remain negative (5, 6). Chikungunya infection is generally self-limited and has low mortality despite such significant morbidity. A mortality rate of 0.3/100,000 cases has been reported (7) and very few people (thirty seven) have been reported as deaths caused by Chikungunya this spring in the widespread Carribean epidemic (1). Deaths are often in the very young, where infection can cause viral meningoencephalitis, or in the very old. Co-infection is often associated with more complicated illness, including Dengue, which has been seen during previous epidemics. Information regarding Chikungunya and pregnancy is sparse. There have been cases reported of vertical transmission peripartum, and acute illness in the last week of pregnancy seems to be a risk. There are also some reports of miscarriage with infection early in pregnancy but correlation has not been shown. Breastfeeding is thought to be safe despite infection. Any diagnostic testing should be guided by clinical concerns (i.e. dehydration). Chikungunya testing does not change management per se, and certainly plays no part in the emergency department evaluation and management of these patients – therefore I do not recommend specific testing in the ED. For patients in whom you have high clinical suspicion or are concerned for prolonged course, referral to infectious disease may be helpful. Testing can be performed later (generally send out tests) that take several days to result, but can set expectations for the course of disease if positive. The mainstays for treatment include hydration and non-steroidal anti-inflammatory medications (NSAIDs). Aspirin is currently contraindicated in Chikungunya due to concern for bleeding risk – a complication of Chikungunya in animal models but not generally considered part of the human disease state. Hydration is important as patients can often run high fevers during acute illness resulting in significant insensible losses coupled with debilitating joint pain that may present self-cares and oral hydration. Severe symptoms can be treated with a short-term steroid ‘burst’ as well, though longer-term steroids are not recommended at this time. Schilte et. al. PLoS Negl Trop Dis. 2013;7(3):e2137. Larrieu et. al. J Clin Virol. 2010 Jan;47(1):85-8. Ozden et. al. PLoS One. 2007 Jun 13;2(6):e527. Hoarau et. al. J Immunol. 2010 May 15;184(10):5914-27.